Forensic genealogical research, quality professional, ethical services. US Navy POW/MIA Casualty Branch - completed more than 750 cases, identifying and locating family members for DNA Family Reference Samples to aid in the identification of remains. Scope of Work: Trust department of major Texas bank. Texas decedent had never married, had no children, mother was deceased, estranged father was believed to be deceased. Decedent believed to be an only child, no siblings. Other than mother's name and birth information, and the alias name of father, there was no other family information. Result: Research back to late 1800s in Maine identified decedent's great grandparents, grandparents in Maine and Florida, and missing father in Maine and Florida. Father had changed name and married. Five paternal half-siblings were identified. Working with the private detective hired by the bank, the family was located in Florida and Alabama. Scope of Work: Galveston County law firm, muniment of title. Result: More than 60 cousins were identified and received notice of the legal action to facilitate clearing the title to the homestead of an elderly woman. Scope of Work: Audit maternal lines provided to ad litem, identify unknown paternal lines. Decedent died intestate; no spouse, children, living parents or siblings. Family maintained none of the siblings had children; therefore Texas Probate Code led to first cousins or their descendants as heirs at law. Result: A due and diligent heir search revealed that indeed a sister had one son who fathered two children. These two living people were the true heirs, not the 134 first cousins or their descendants. Case included more than two hours on the witness stand with rigorous cross-examination by the attorneys representing the first cousins. The Court accepted the Report, ruling in favor of the two true heirs. Scope of Work: Decedent was 87, widowed, no children, the only child of deceased mother, father identified but whereabouts unknown. Result: Research revealed that father died in 1968; obituary named four children, but not the Decedent. Two were actually step-children and one name has not been identified in any public record. The fourth was born at home, no birth certificate, delayed certificate, or record directly naming father. Research involved early 1900s marriage, birth, divorce, death, probate, census records in four Texas Counties, tracing three marriages, multiple relationships, children born out of wedlock, and few actual recorded documents. 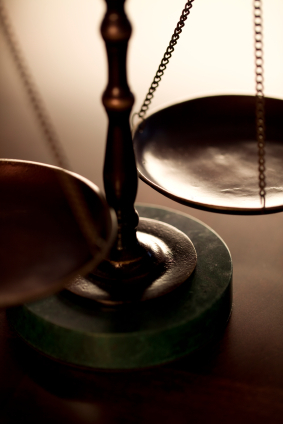 Scope of Work: New York probate. Decedent was originally from Texas, was unmarried, had no children. Identify paternal first cousins. Result: Heir search confirmed relationships to known paternal cousins, identified and located previously unknown paternal first cousins. Scope of Work: Hill County probate. Case was two decades old, delayed by the deaths of all named executors and lost contact with heirs named in will. Result: Within four hours of official receipt of the case, all eligible heirs were placed in contact with the law firm. Heirs included the descendants of those named in the will. Scope of Work: Tarrant County probate. Identify mostly unknown paternal side of the decedent's family. Decedent died intestate, had no spouse or children; parents and siblings were deceased. Result: Research led back to the 1850 census and reconstruction of the paternal grandfather's family. Lineage was traced to identify living descendants that met the Texas Probate Code definition of heirs at law. Major obstacles were overcome: adoptions and name changes with removal to other states, and "unofficial" name changes in blended families. Heir search identified all paternal heirs to the satisfaction of the Estate. Scope of Work: Research the birth place and the parents of a woman born in the mid-1850s. Her descendants believed her heritage included at least one-half Indian blood entitling the family to registration in the California tribe. Result: No original sources were located that provided primary information or direct evidence that subject was of Indian origin. However, 42 sources of evidence were found that clearly established that the subject was not born in the tribal area or the state. Client Report included such diverse records as 100 years of census filings, obituaries and coroner's reports, published family histories, governmental forms, sworn affidavits, applications to heritage societies, military records, local histories, and many other resources beyond the "usual birth, marriage, and death records" normally used to determine kinship. Scope of Work: Oil and gas royalty case with proof of lineage from grantee. Result: Analyzed client research, developed research plan, prepared heirship affidavit that conclusively demonstrated descent from the original grantee. Court found in favor of clients. The Balli Family Organization selected Dee Dee King, Certified Genealogist, to organize a genealogical master data base for the family and to serve as an expert witness for the family heirship cases. Scope of Work: Reconstruct entire families of recipients of 1767 Spanish Porcion Land Grants in what is now South Texas to determine living legal heirs. The land has been claimed by Spain, Mexico, Republic of Texas, and State of Texas. Records begin more than 240 years ago and are held in repositories in at least three countries. More than 80% of the records are in Spanish. Many heirs live in Mexico; some speak only Spanish. Result: Court quality evidence that documented direct descent from the Porcion Grantees, accompanied by requisite affidavits and documentation. Approximately 800 heirship affidavits since June 2007 - January 2010. 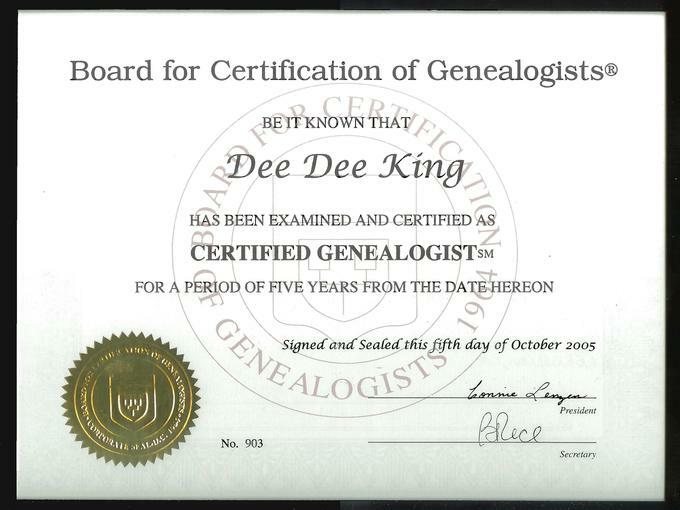 From June 2007 through January 2010, Dee Dee King, Certified Genealogist, of Forensic Genealogy Services, LLC worked with heirs, the "unknown heirs" (respondents), and attorneys to determine lineage to several Texas Porcion Land Grant Cases in South Texas. Vicente Longoria - Porcion 93, moved to Zapata County, District Court, 49th Judicial District, Cause No. 7041, "Arlene Longoria Abbott Willingham, Et Al v The Unknown Heirs of Jose Vicente Longoria." Was in Starr County Cause # PR-08-008. Our clients were declared heirs 23 November 2010. Report and expert witness testimony accepted. Maria Margarita Gonzalez de Ochoa - Porcion 103, moved to Zapata County, District Court, 49th Judicial District, Cause No. 7119. "Maria Consuelo Gonzalez Barrera Abrego v the Unknown Heirs of Maria Margarita Gonzalez de Ochoa," was Starr County Cause # PR-08-013. Our clients declined to pursue. Pedro Longoria - Porcion 94, moved to Zapata County, District Court, 49th Judicial District, Cause No. 7037, "Levon Adriel Aguilar Galva, Et Al v The Unknown Heirs of Pedro Longoria." Was in Starr County Cause # PR-08-007. Our clients declined to pursue. Francisco de la Garza Martinez - Moved to Zapata County, District Court Cause No. 7040, 49th Judicial District, "Cecilia Alvarez, Et Al v The Unknown Heirs of Francisco de la Garza, Deceased." Was in Starr County Cause # PR-08-012. Our clients declined to pursue. Ignacio Trevino - Porcion 96, 98, 99 100 - Cause No. 7,205, Zapata County, District Court, 49th Judicial District. Our clients declined to pursue. Matias Longoria - Porcion 93 No case materialized for our clients. Ms. King is no longer accepting clients in Porcion or Spanish land grant cases.